The editor of an independent newspaper in London has urged his local council to stop cutting of its “lifeblood” by selling advertising on its own fortnightly newspaper. Keith Magnum is the founding editor of the Hackney Citizen, an award-winning free monthly newspaper. He has become increasingly concerned by Hackney Council’s publication of its own fortnight free newspaper Hackney Today, which competes for commercial advertising and is produced by the council PR team. The council claims that it takes up to £150,000 a year in advertising revenue (though not enough to cover its production costs). 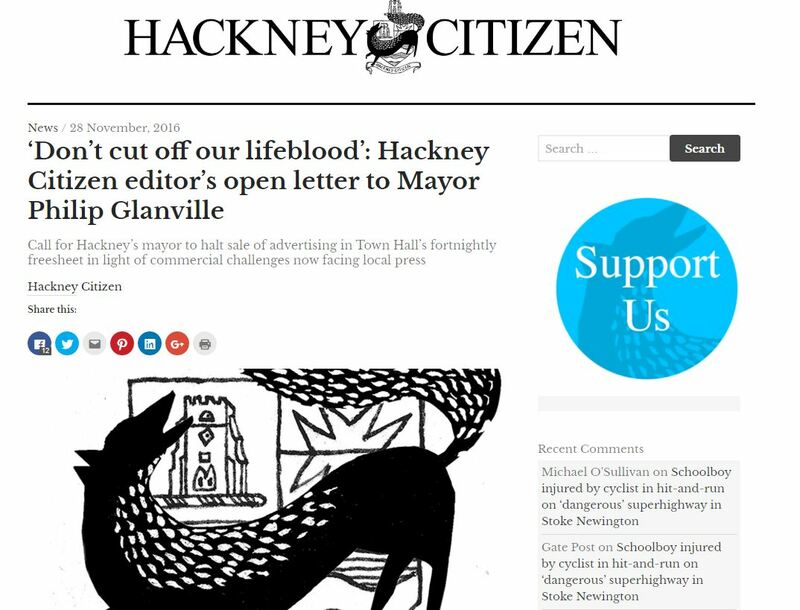 This week Magnum published an open letter to Hackney mayor Philip Glanville in which he said: “As I am sure you will agree, local newspapers such as ours play a vital role in informing the community, fostering debate and holding local authorities to account. “The majority of news publishers across London and the rest of the UK are in a situation where they do not have to compete with the local authority’s fortnightly or monthly printed freesheet and website for advertising. “However, in Hackney the council continues to publish its fortnightly freesheet and run advertising on its website, in competition with local news publishers. 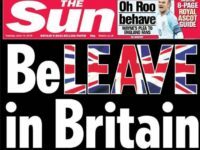 “The council will be aware that news publishers across the UK are facing very challenging commercial conditions as ad revenue from print sales continues to fall globally. “Whilst we have always recognised the right of the council to produce its own communications for residents, we regard the selling of advertising in its publications and on its websites as unfair competition. “Imagine if the BBC decided to sell advertising and compete with commercially-funded channels. “Like the BBC, the council’s fortnightly freesheet Hackney Today is funded by the taxpayer – and would not be viable were it not subsidised by the taxpayer. “It does not rely on advertising sales as its lifeblood. But local news publishers do. “The council’s selling of advertising therefore makes the funding of effective government scrutiny more difficult and in so doing has an adverse effect on local democracy and debate. “We acknowledge the budgetary constraints under which the council is operating and the reasons why the council has taken a more commercial approach to bring in more cash in the face of funding cuts from central government. “However, several tens of thousands of pounds of advertising revenue is a relatively small proportion of the council’s annual budget of over a billion pounds. Glanville has responded to Magnum’s letter. He said: “The advertising revenue it raises takes pressure off scant public resources, but the paper has always been run in a way that does not aggressively compete with other local titles. Most advertising revenue comes from partners such as the NHS, schools and colleges and housing associations who wish to take advantage of its borough wide door-to-door distribution. “The council’s website sells advertising through a national network, and does not compete by taking ads from local business. “Despite saying in 2013 that the Citizen had ‘never regarded Hackney Today as a competitor’ and that it was of ‘no particular concern’, its editor is now demanding that the council gives up between £100-£150k in external income each year, which would be a substantial loss to the public purse. The borough, which has a population of over 200,000, is also covered by Archant’s Hackney Gazette which has a circulaton on the patch of 3,500 copies per week according to Jicreg. Hackney’s actions are in breach of the Government’s 2011 Code of Recommended Practice on Local Authority Publicity which states councils should not publish publications more often than quarterly.